Every so often we like to 'freak out' - don't we all - but normally when a decent bit of disco pops up on Last FM or We7. Pretty much anything Messrs Edwards and Rodgers touched with their fidgety fingers during the late 70s, turned to funk especially Sister Sledge, Diana Ross and, dare we say, 'Spacer' by Sheila B Devotion. See? We dared. However it was the band Chic that really did the business with the feet, releasing classic tracks such as 'Everybody Dance', 'Le Freak', 'I Want Your Love' and the ubiquitous 'Good Times'. Not bad for a band who allegedly created their early demos after a champagne-induced jamming session (blimey, it's all right for some!). 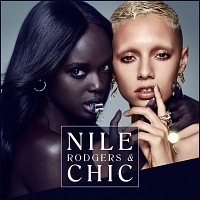 Sadly, Bernard Edwards passed away in 1996 but partner Nile Rodgers soldiers on with that familiar sound (complete with a crack backing band) and now he returns to London for an unforgettable night of Chic cheer. The IndigO2 will host this one-off evening on Friday 10th September with tickets on sale now at £25 (plus fees). It's a standing gig, so there's no excuse for not moving your hips at the very least. Wed 1st May 2019 The Fulham Big Band, Fundraising EventCharing Cross Hospital (Hammersmith)More Info..